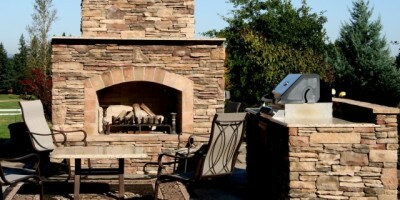 Outdoor Kitchen & BBQ Gallery – Stone Concepts, Inc.
Once you have decided to add a outdoor BBQ island to your backyard, with or without a fully equipped kitchen, we can help you choose a layout suitable for your space as well as your cooking and entertaining needs. With an almost endless assortment of layouts for appliances, counters, storage spaces and sinks, we can design everything from a simple built-in BBQ grill to something more elaborate with a wet bar and refrigerator. 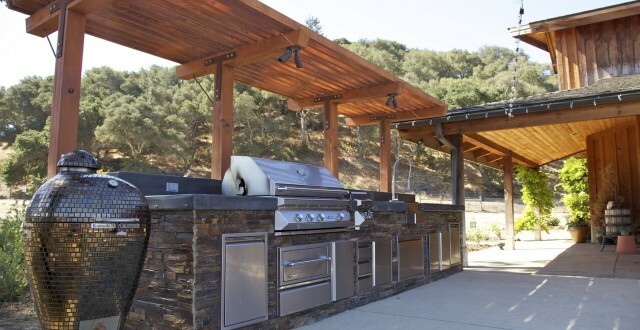 We can also recommend materials and configuration options that will help you extend your budget, reduce maintenance, and increase the durability and lifetime of your outdoor BBQ island. For instance, choosing to build your BBQ island with a wood or charcoal fire rather than a gas grill can decrease costs. 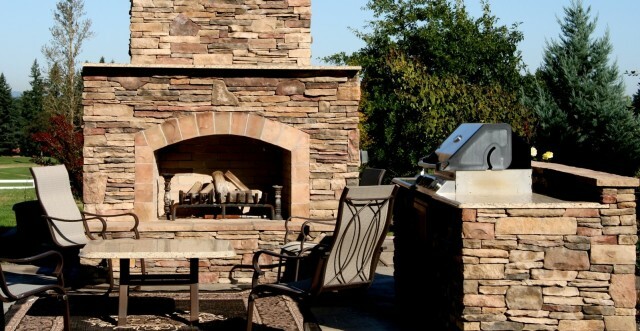 Choosing to build your new addition with stone veneer, concrete, bricks or exposed wood rather than natural stone will also be less expensive. Whatever your choices, we can create a unique BBQ island that gives you everything you need so that you can enjoy entertaining in the outdoors for years to come. 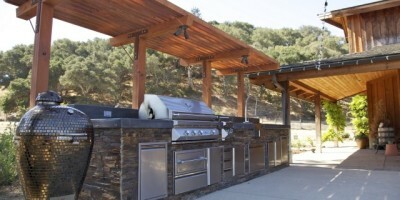 If you are ready to add a BBQ island to your backyard our design consultants are ready to help you. To schedule a free estimate email or call us at 805-331-4121.